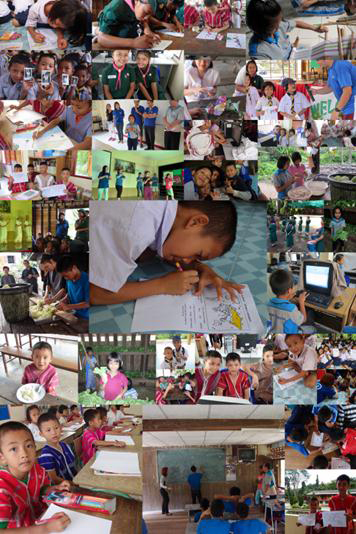 Intel Involved Singapore Star Team volunteers conduct 4 day English and Computer Camp in Mae Pon Village and at the same time raise 25,500 S$ amongst its staff and their friends to support 180 students from the village! We would like to thank whole heartedly the Singapore Intel Involved staff that brought six highly motivated and committed volunteers, Sheryl Teo (Team Leader), Andy Low, Vicky Lin, Ho Soo Pine, Peggy Khoo (Intel) and Molly Loh (Lions Club of Singapore Aces), to conduct a three day full immersion English language program to over 230 children from primary to secondary school. 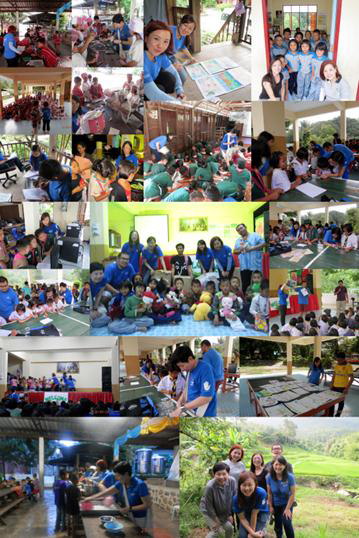 This was the first ever Overseas Community Service Trip for the Singapore Intel offices. The volunteers travelled to the hill-tribe village of Mae Pon, Chiang Mai, where the Foundation has contributing in building a Primary School and renovated a former primary school into Secondary School. The highly motivated and committed team did extensive research in the months preceding the trip to devise lesson plans that would include also developing basic IT skills and mind mapping exercises, and exposing students to existing carreer options. They also planned Arts and Crafts, songs, and games for children as after school activities. As the star team was preparing its lessons, they also ran a local campaign amongst the Intel staff in Singapore to raise funds for the Foundation and managed to reach their target of raising 25,500 S$ for the 180 children that are supported by the Pistorio Foundation in Mae Pon Village. Thank you so much to your formidable support. This shows how a group of highly motivated volunteers can move mountains! “…In-Kind donations of toys, books, clothes collected in Singapore was also well received by the school. The scholarship donation definitely goes a long way to support the children.” Molly Loh, Volunteer from Lions Club of Singapore Aces.